Direct Marketing is a Big Business… and Print is an Integral Component! 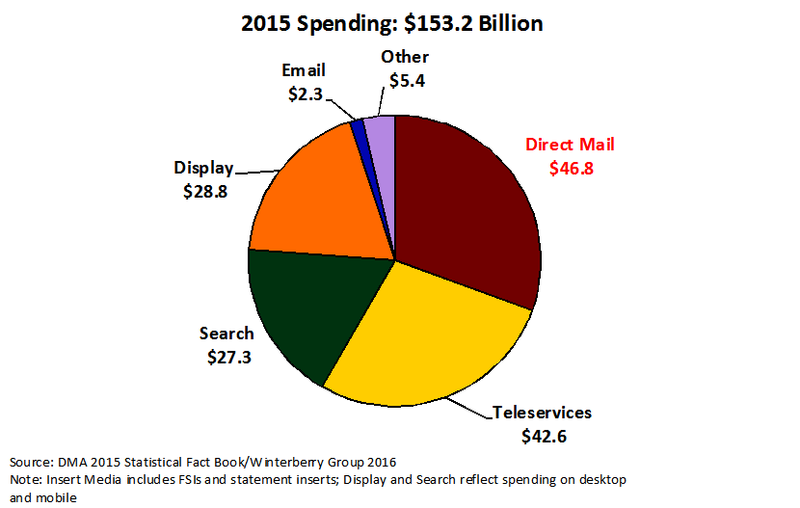 According to the Winterberry Group, “Direct and Digital” marketing spend was $153.2 billion in 2015. The printed direct mail component represented $46.8 billion of spend, up from $46 billion in 2014. Direct mail is experiencing a resurgence. According to the 2016 Fact Book, spending on direct mail increased even though volumes declined. Some of the explanations for this trend include postal rate increases and the increased use of more targeted direct mail where marketers invest in higher-quality pieces that are more personalized and relevant. Although these pieces are produced in lower quantities and often cost more, they usually deliver higher response rates. When used correctly, direct mail is an efficient and measurable complement to online counterparts. In today’s world, the new marketing mantra is that print and digital media work better together. The business world has moved into the era of data-driven marketing. Marketers are sorting through their customer data to create the most relevant campaigns possible. Regardless of marketing channel, the top priority in terms of data-driven marketing is delivering a personalized customer experience. The U.S. data-driven marketing economy employs nearly 1 million people, and the employment level rose 49% between 2012 and 2014. In addition, the value of the data-driven marketing industry has experienced a 35% growth in just two years, reaching $202 billion. According to the 2015 Cross-Channel Marketing Report from Econsultancy and Oracle, marketers are no longer focusing on managing data (collecting, cleansing, and applying). 44% of respondents report that they are investing in data management platforms, while another 33% are planning to do so. According to 23% of marketers, the challenge now is analyzing the data. Service providers of all types must assess their strategy for participation in today’s highly data-driven world. Consumers want control over when and where they see e-mail messages. They are savvy with their inboxes and spam filter settings, and they aren’t shy when it comes to telling marketers about when and how often they want to be reached. 43.8% of consumers say that they want to hear from companies weekly. Meanwhile, 59% say that marketing e-mails influence their purchasing decisions and most of them seek offers such as free shipping or dollars/percentages off their purchases. Furthermore, personalized e-mails have proven to be an effective way to engage consumers and link with print for a fully integrated marketing campaign. There are a number of tools available that can help service providers deliver consistent messaging across multiple channels while blending direct mail and digital communications. The Bottom Line: Make the Time! The DMA 2016 Statistical Fact Book is full of useful information and trends pertaining to a variety of markets and media channels. Although it is only a single source of data, its trends and insights are pulled from the very latest research reports. “The Value of Data 2015: Consequences for Insight, Innovation & Efficiency in the US Economy,” John Deighton, Harold M. Brierley, Professor of Business Administration, Harvard Business School and Peter A. Johnson, recent Adjunct Professor, Columbia University. Econsultancy and Oracle, “Cross-Channel Marketing Report,” 2015. 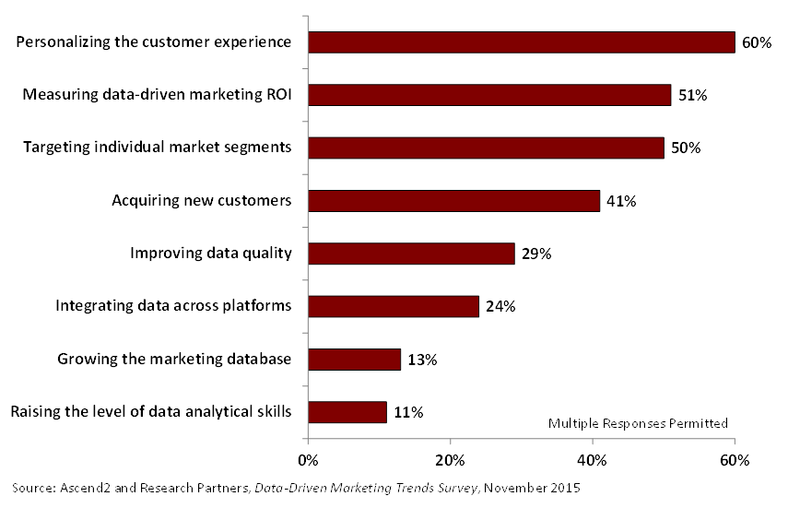 Infogroup, “7 Key Insights into the Evolution of Data-Driven Marketing,” 2015. BlueHornet, “Consumer Views of Email Marketing,” 2015.